To foster recognition of medicine and bio-science as a leading industry in the Vermont region and promote economic and human well-being by strengthening sector attention, research resources and venture growth. Biosciences in Vermont? Are you kidding? What do these products all have in common? Infusion syringe pumps for automated medication delivery. All are made by Vermonters participating in the new Vermont Biosciences Alliance. These products come from just a few of over 100 companies and researchers in this diverse, innovative and rapidly growing sector of Vermont’s economy. Economic impact: Employment data shows that bioscience firms and research provide nearly 1,100 direct jobs in Vermont. A study of bioscience employment showed that this sector supports another 3,000 indirect jobs in our state with job growth of seven times the annual rate in the Vermont economy as a whole. And these are good jobs that pay well above the state average. There are over ninety bioscience companies in Vermont. We are working together to support both existing and new firms to prosper in Vermont. Education: Vermont is ranked among the top ten states for student performance on national biology tests and in science and math test performance. This is good news but these high rankings belie a deeper problem that both educators and parents understand: The availability of excellent science and math education varies greatly around the state. Too often what our kids learn about science and math are severely limited by school resources and the already heavy tax burdens in local communities. The Alliance is joining with educators and parents to improve our science and math curriculums at all grade levels. Our goal is to help reduce the disparities among schools and create more learning excitement and opportunities for our kids. Tax contributions: Jobs and higher salaries translate into tax revenues for Vermont. Economic research showed that on average, each direct bioscience employee pays three times the state average in personal income taxes. Growing career opportunities for our kids: Annual job growth of 7% combined with higher salaries creates outstanding bioscience career opportunities for our kids. The more bioscience grows, the more opportunities our kids will have to pursue their career goals, earn a good living and remain in Vermont to raise their own families. Connect Vermont’s bioscience people to share ideas, find solutions and develop partnerships through programs and networking events. Actively support the growth of bioscience business and research ventures in Vermont through innovative programs, mentoring and legislation. Please review our current activities and planned events. Strengthen science and math curriculums of Vermont’s schools to stimulate our children and encourage them to explore careers in scientific businesses and research. Advocate and participate in workforce development programs that include education, internships and training for careers in the biosciences. 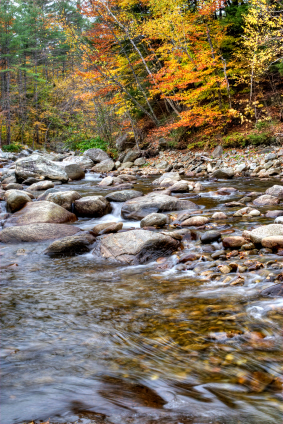 Play a positive role in improving Vermont’s environment for people, science and business. 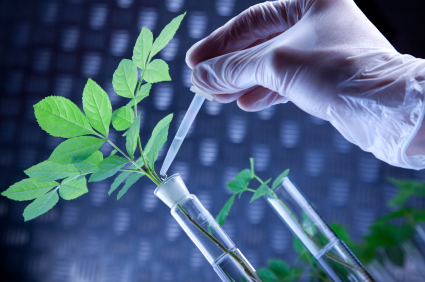 VtBSA sponsors noncommercial activities that promote the growth and connectivity of bioscience industry in Vermont. Requests to sponsor events will be considered if the activity supports our mission, provides a benefit to VtBSA membership, and can be accommodated within the budget. 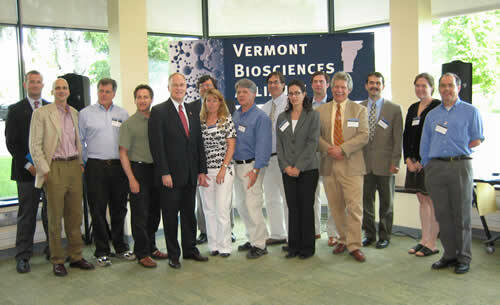 The major Kick-off Event for the Vermont BioSciences Alliance was held with over one hundred people. Governor Douglas and bioscience business leaders participated. Interactive sessions on the business of bioscience included a panel of experts presenting their ‘Top Ten’ solutions for the challenges facing bioscience ventures in Vermont. Four additional educational and networking events plus the first annual meeting were also held since last summer. Public policy events included presentations on the major national and state public policy challenges and opportunities of interest to Vermont bioscience people. Presenters were representatives from Bio in Washington DC and from Senator Leahy’s office. Improving math and science education in Vermont: Leaders of innovative science and math educational initiatives currently underway in Vermont provided overviews of their projects. Participants then met in small groups to identify the education needs of the bioscience community. We developed ideas for how we can support educators and participate in improving science and math education in Vermont. Building awareness with VT’s Leaders: Meetings were held with Governor Douglas, Lt. Governor Dubie and Senate President Peter Shumlin to highlight the economic potential of bioscience business and research. Vermont’s leaders have been very receptive and supportive. Legislative action: Members of the Alliance’s steering committee actively supported two important and successful initiatives: The Entrepreneur’s Seed Fund Legislation and the Research and Development Tax Credit. Alliance members testified before the legislature and also held meetings with individual legislators on the value of the Entrepreneur’s Seed Fund and research and development tax credits to Vermont. Extensive information was provided on how seed funds, tax credits and other initiatives to support innovative businesses can be implemented and managed effectively in Vermont. VBSA events always include opportunities for networking among bioscience professionals. People are continually surprised by the diversity, innovativeness and technological sophistication of bioscience firms and researchers in Vermont. Bringing people together is a primary goal of all VBSA activities.